To use wireless mouses or keyboards on a device, a driver needs to be installed. Yokogawa instruments will not let you install drivers on the device, therefore it is not possible to connect a wireless mouse or keyboard. 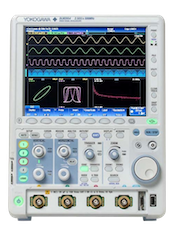 This applies to other Yokogawa DL series oscilloscopes as well.